Did you read my 10 Tips to Make Blogging Enjoyable. Traps to Avoid? If not, it’s still there…waiting. Why do I mention it, other than hoping those of you that missed it go and read it? There is actually an 11th Tip. Unfortunately I didn’t think of it in the 11th hour, I thought of it after that. But that just means I get to write another Blogging Tip article. Plan, Organize, Organize, oh and Organize! We think we organize, but we don’t. We have some categories we click the little box next to for each post but we begin to write things and come up with random categories. Before we know it we have countless categories or we have posts in an existing handful that don’t make sense. Organizing from the very beginning of blogging makes for a lot of great benefits. This isn’t my first go around with an article about organization. My 3 Best Blogging Tips for a Successful Blog was one year ago discussing menu structures, how to do drop down menus and create real PAGES and fake ‘pages’ as headings for drop down menu sections. Yep, step-by-step. Now, if you’re new, the Category is basically like a folder you place a post in and you can then actually make a page in your menu using that category. You can look at my menu around my header image to see what I am talking about. Mine looks simple, right? In reality, mine is a mess. I have over 1300 articles now, posts, poems, tips, videos, and whatever other random things I’ve come up with. I tell you that so you know when I talk about a need to organize I know from experience. I realized too late my system for organizing was not adequate. Why? There was no system. For someone who spent years organizing and mapping out things for locations around the country, I can’t stand the condition things are in. But the process of correcting all the mess is overwhelming. I’ll do it, slowly, but slowly is the key word. If you are a veteran blogger, take a handful of minutes a day and do a page of your content in the Dashboard each day. No more than that. If you do more, you get tired of it, disgusted, and it becomes work. Blogging should be an enjoyable part of our lives, even if we do it as a job. So organization leads to easy Reader Site Navigation. Look at what the post you’re doing is at its general level. Is it a Tip, a Writing Piece, Music. What is it? Now you have your Headings/Page Names. What is the post specifically about? Is it a Love Poem, a SciFi story, or a Blogging Tip? Now you have your Categories. The first thing you need to read is; How to Build the Perfect Blog Even if You Don’t Know How This will give you a basic checklist to go through to make sure you have prepared a post worth posting and being read. What you post is your reputation, image, brand. You want to get it right from the beginning. Some readers will never come back if you are bad from the beginning. What is another form of organization? How do you know for sure you are doing a good job of it? The report card above won’t tell you if you are getting the results from your efforts. And really there are some less technical aspects that you need to look at. How to Get Loyal Visitors to Repeatedly Return to Your Blog Here you will find a real success story from a real success blogger. 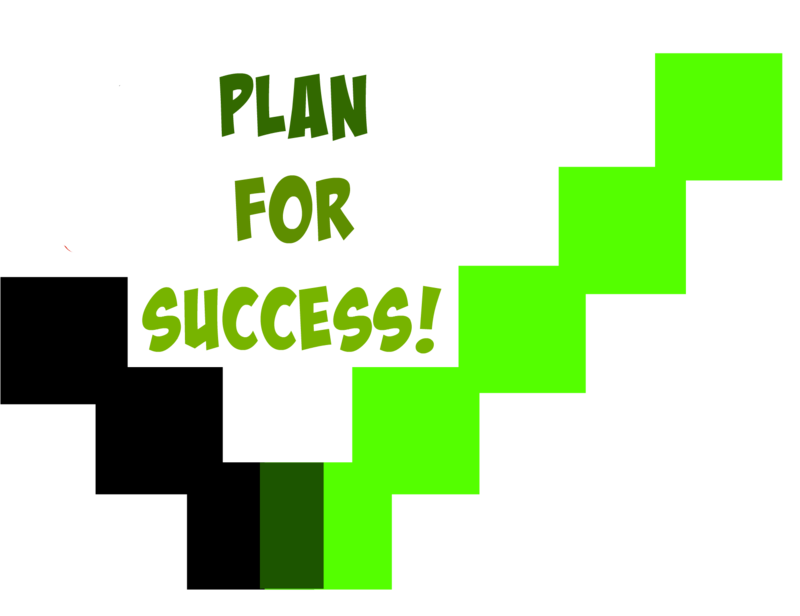 Now, one final thing from Janice I like is, How to Increase Blog Traffic with Content Curation. It’s not about organizing but how to get more out of those old posts you wrote that no one sees these days. No amount of organization will get all of your work seen. But if you know how to spread that content around, you can get results, maybe even better ones at times. But not all success of a blog has to do with organization or spreading the word. I for one can vouch for that on some level. Sometimes a blog achieves success not by organization but by personality. My friend Hugh Roberts of Hugh’s Views & News focuses more on the personality and feel of blogging, a blog, and the blog life to be successful. Yes he does the organization but he likes to provide tips on a personal level. One popular article to check out is, Is Your Blog As Friendly As You Think It Is? It is one of his most recent but high on his most popular post list. From me you can check my Most Popular list at the bottom of the blog, currently. There are two that seem to get attention the most over time, How to Survive the Blog Life. and Blogging Personality: The Key to Success. While I was writing the above and reading old articles of mine another tip came to mind. We write a post and want it out NOW. Big problem with that is the ugly word TYPO. Nothing worse than doing a Writing Tip article and you have typos everywhere. Let your article sit a few days, a week or more if you can. Then you come back and read it and you see the problems, and read it in the Preview window, like it would be on your blog, NOT in the Post Editor. Post Editor windows allow for easy skipping over words and even sentences. Our eyes are more accustomed to truly reading something on a Blog page as opposed to the Editor page. REBLOG, TWEET, FB it, or GOOGLE+ it. Share it however you like so all those linked get clicked. Whichever you want to call it, those sidebars with all those widgets can have side effects you never thought of. So crowded no one can see what’s there. So many graphics it slows loading of the blog page down. Your page looks like an ad for everything, even though you’re not selling anything. Big turn off. But does that mean sidebar widgets are bad? Of course not. If you’re advertising something, go for it, like authors want to get their books out there. But some advice to authors: Switch up those images and their order. Maybe even change the side of the screen your sidebar is on. Why? It makes return visitors look around for what might have changed. The same thing goes for book reviewers or people who have guests on their blogs. But if your blog is geared toward images, then widgets won’t make a difference. Remember, graphics on a blog slow it down loading and slow loading may lead a reader to do one of two things. Leave because they clicked you on impulse. Leave because they think something is wrong with your page or their browser and then they’re gone. One thing about your Widgets you may not realize is that many are never even clicked on. I moved my Widgets to my footer areas and I am still working on their order. But my main goal is to make them useful ones. Which ones do I think are most useful? Those are off the top of my head. Why am I not going to look for other Widgets? Because those are the ones I remember, which says a lot to me, and look for on other blogs. For some blogs the only way I can find their posts is by using their Most Recent Posts Widget. #2 Image is Everything, or so your Blog says. Yes, I am still on images. I try to go minimal with images in my post these days unless I’m just having a moment and decide to go crazy. We all do that at times. That’s fine. Images is a sometimes food. Wait, that’s cookies. I warn you, I’m very visual media oriented today. Weird quotes may show up at anytime. Forgive me in advance. But regardless, keep in mind that many or most of your Widgets are never clicked on. I like the Most Recent Posts and perhaps the Favorite Posts Widgets. Of course you want a Follow Me Widget and a Search one. Notice these are not graphic intensive and are useful. A tip about Images: Keep in mind how large your image is in reference to how much storage space it uses such as 250 kb or something like that. The larger the file, the more time it takes to load. Sometimes you need to use high definition image. But then there are times you can optimize your image size and still have great definition. Visit 5 Image Things to Know for SEO for more information about this. #3 The “I want to be cool” blog moment. We’ve all done it. Okay, so I’ve done it several times. We do these crazy color schemes and then the possible results begin. People are scared and run away, okay they click away. People can’t read because of the color scheme. Check out what color blind people can’t see. A tip here. If you have links make sure to underline them and possibly bold them to signify they are links. Most people understand underlined words signify a link is in those words. The look doesn’t match the content. By this I mean the feel you have created just doesn’t fit. Your theme style, color and header need to match what you are promoting. Promoting? Yes, you are promoting your posts, as in you. Will my current theme, layout and everything work for what I am promoting? Maybe, maybe not. I experiment. That’s one thing those of us who for some odd reason think we can give blogging tips do, we are the experimenters. I even have a test blog where I play around with themes to see what they look like and can do. Yes, we follow, follow and follow even more. For some it’s a trick to get followers and for some it’s a reflex in following people in return. What do you end up with? If you are WordPress then you have a Reader so full you can’t get through everything. You have so many “friends” you can’t make any FRIENDS. You get caught up in the needing to get more and more followers as the Following Frenzy engulfs you. If you’ve fallen into Follower Frenzy spend 10 minutes each day cleaning up that Follow list. (I might actually take my own advice.) Also you can make sure to follow those ones you really do like by subscribing to their email notifications until you do clean up your list. Competition in blogging is a thing. You may experience it for a brief moment. Once you do believe me when I say that your readers will notice and some might get turned off. There was a time, prior to two years ago when I had a concussion that brought some reality to my world, when I was competitive. It worked for the big job I had way back when, but for life in general, blogging specifically, it just doesn’t work for me. Most bloggers are not here to, or at least don’t start out to, be some guru or god of blogdom. Sure, we all want to be read and be popular to some extent but in the beginning we all have that little bit of reality, until we begin to see followers happen and the comments and then we see someone else like our blog who is sort of competition. They aren’t. You just keep writing, write honestly, and write well. We don’t get the views each day, the follows, the likes. We begin to think no one likes us. We visit blogs and we think how much better our posts are than those. We wonder why no one likes us. Veteran blogs sometimes put out content that is perhaps not as well done as their usual content. Why? Time. Goofiness for the day. Lack of inspiration after blogging for so long. Don’t worry about them. Don’t WORRY about anyone, including yourself. Just keep writing, write honestly, and write well. #7 But I HAVE to post because my readers will miss me. Man, this is a tough one, for new and veteran bloggers alike at times. There is this sense of responsibility to our readers. We think they are just waiting for us to post something and if we don’t they may never visit again. Um, do you do that to blogs you follow? Chill dudes and dudettes. I’ve been in the hospital, been sick, had a laptop go down and people still find me, and they still return. Why? I think in part because I’ve built a community that have my blog in common and met through my blog. Did it happen overnight? Nope. It takes time. Patience. What do I do to build a community and keep readers? Just keep writing, write honestly, and write well. We discover how to change the font size and we go crazy at first. It’s not a good thing. You should really only use a different sized font for a heading of a section/topic. Think of how I have been using font size in this article. I know sometimes we will use all sizes of fonts, but make that a rarity. Looking at a page full of every size of font imaginable gets eye weary. Also by using your font sizes in a uniform way throughout your articles, you somewhat train your regular readers to know what to expect. And you do need those section headings at time to break up long passages of text. #9 My Writing Is Amazing and I am an Original and need not worry about standards. Have you run across those blogs where the entire thing is one paragraph and about 700 words long? Punctuation is by accident? Capitalization happened because of auto-correct somewhere along the way? Do you know how many times I return to those “I am an Original”? I’m not saying don’t do it that way. If that’s what you are wanting to do and are going for a certain atmosphere, go for it. Some make a success of it. But it takes a certain type of writing to make it work. For most blog readers, they want to click and be able to read and have a pleasant experience without having to figure out what in the world or how in the world they are reading. #10 I have to write like this because they expect it. No, I’m not referring to #9. This is about writing about certain topics or in certain styles. There may come a time in your time blogging that you no longer want to blog about whatever it is that got you started. You have two choices. Or just start writing what you want to on your current blog. 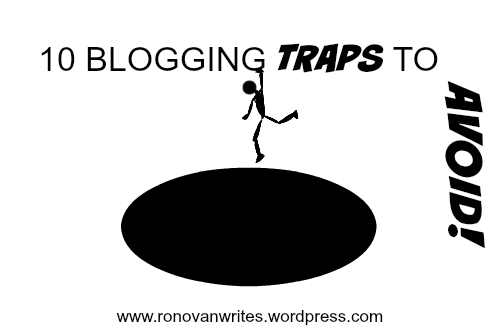 I’ve written about just about everything here on Ronovan Writes. But then I did choose a good title for the blog to be able to pull that off. I have hits and I have misses and misses and misses. I’m not trying to build a blogdom here. I simply write what I feel like writing in that moment. That is the greatest blogging tip you will ever get from anyone. That’s not a brag. That’s telling you like it is. If you write things you don’t care about you are faking it and faking it can be picked up on quickly by blog readers. Some people write about blog tips every day. That’s something they find fascinating. I couldn’t do that and keep it sounding real. Well I might, if I had broken this one down into one per day. That’s it for me today. 10 things bloggers get trapped into at some point. 10 things to watch out for and avoid. Avoid those traps and you’ll have a pleasant blogging experience for a long time to come. This article goes somewhat hand in hand with another of my articles I wrote sometime ago called How to Survive the Blog Life. It’s the number one article on my blog. It’s time to take a look around the blog. I know those of you who regularly visit have noticed the changes, but here is the official unveiling, and shame to those who peeked. Everyone needs a fresh start at some point and it was about time. I could get into some marketing and even managerial reasons, and I might as we go, but for now, let’s leave it as I just needed a change. Maybe as I talk about each change I’ll mention the why. I have a header finally. What? Ronovan Writes didn’t have a header before? Nope, it was all in the header image. Now I have the image from my Haiku Challenge that I like so much gracing the abode on a grander scale. Well…at least until I get to learning how to be artistic with my new laptop!!! Why did I change? I decided it was time to be less me centric in the look and I wanted a brighter feel to things. My purpose for this blog isn’t such that it requires anything specific. I’m going to have fun. But all the old information is still here to find, just scroll to the bottom and it’s all in the footers now. Did you really think I would do away with talking about myself and advertising ME completely? Shame on you. No sidebars gives a larger feel to the reading area, cleaner appearance, and simply has that inviting look as far as I am concerned. But then again, to each their own. One thing to think about if you change locations of your Widgets and that is the width of any of your Widgets that have images related to them. If they are too wide then they throw everything off. If you don’t see your Widgets when you change, check that width and reduces to a small size for the moment. Then check your main page again. With the Footers added I decided to limit the number of posts appearing on the landing page to 5. This allows for quicker loading time for the blog and isn’t too much to look at. Also, a reader can get to the Footers a bit faster. I’ll be doing some other changes slowly to move to as professional and peaceful appearance as I can. That’s what I am going for. I want peace. With a dash of explosions and excitement at the same time. Kind of like Marilyn Monroe in Some Like it Hot. Hey, I saw what I saw in that movie, you see what you want to see. Agreed? Good. Want to read my best Blog Tip article lately, How to Hashtag Blog Tweets? Click here to visit my guest post on Hugh’s Views & News where you can also check out some great tips of his own while you’re there. Finding Time to Blog. Huh? I’ve been asked in the past about how to find time to blog. Do you have time to ask me that question? If the answer is yes, you have the time to blog. Do you have time to read a blog? If the answer is yes, you have time to write a blog. I don’t think people are really asking me about time. Then what are they asking me about? “How do I come up with ideas? I have no idea what you should write about. Why? Because I’m not you. But I suppose like any other blogging non-expert I can tell you what I have done. The truth is when you first begin to blog you might end up writing about a lot of different things until you find what you are most comfortable with. I was heavy into some dark poetry. It was basically a time I was dealing with my amnesia and before being diagnosed and treated for various health issues. But a great many people identified with it. I have no idea why nor did I attempt to keep writing it in order to keep a certain audience. I can’t write poetry quite like that now because I am in a much better place. I obviously didn’t give up blogging or writing poetry. Now I write whatever comes to me, regardless of subject or audience. It’s my blog. Thus I blog what I blog. The first thing you need to decide, once you get down to actually wanting to write a blog post is to decide your purpose for blogging. Is your brain hurting yet? Don’t worry, it isn’t that bad. It’s just that some people have blogs for professional or semi-professional reasons. My blog has many purposes. Some people want to share a hobby, some a cultural or family history. Well things based on that culture. Many like to explore writing. This one is greatly accommodated here in WordPress. There are many blogs with writing prompts you use and then link back to the original prompt and receive some visitors to your blog. Of course the Daily Post also has prompts. My Haiku Challenge is a Daily Post Event. WordPress also holds Blogging 101 and 102 to help people get started. I personally found my own way to where I am. Personal interests will lead you to your topics. If you like a topic then most likely there are others who do as well. If you are blogging for professional reasons, stick to that topic. People will be visiting you for that specific reason. As for a blog of whatever, much like mine, stay honest and real…you can’t go wrong. People will pick up on fake every time. You can speak more words in 5 minutes than you think. Just type. Don’t write to your audience…talk to them. You don’t have to entertain, simply share. You don’t have to have long posts. They can be no more than 300 words if you like. I did that for a time. I kept my posts under 300 words. It was an exercise in writing as much as it was in not having to write long posts. More to come another time. Hope this helps a little for now. Phobias, Disorders, Anxieties. You know we all have one of these. And actually the labels can often be interchangeable so don’t judge a phobia by its disorder, you’ll just cause anxiety. I am very prolific in my blogging. I write an article or poem a day except on Saturdays, and sometimes even then. So it seems that I have a problem that people don’t understand. It’s become worse over time since I began blogging. And when I mention it, well the subject, people’s responses just make it worse because they don’t get it. It goes back to my concussion a couple of years ago. Before that I was a very engaging person. Never met a stranger. Could have a conversation with anyone. But since then, and the retrograde amnesia, things changed. You know I kind of get afraid of things. And I became so isolated because of not only the amnesia but the light and sound sensitivity, and the migraines, that people actually became a problem. I am now at the point I don’t go to stores any longer. I very rarely step outside the house at all. I’m okay with the no people in person thing though. I mean, I like being alone now. My communicating with the world is through my articles. And unless you are a super close person to me, I don’t even talk in emails. That brings me to the problem. And it’s kind of sad I even have to mention it, but I’m going to anyway so people will understand people like me, and not judge us. When people comment on blogs, well some of them almost demand a response. I have a fear or responding. Don’t ask me why or what it is, but if you ever see a response it has taken a lot for me to get up to the point to do it. I have almost been to the point of removing the comment option from the blog. But people have met through my comments and helped each other. I’ve mentioned comments before in articles and the responses have made it worse. People pride themselves in responding to every comment on their blogs. They brag about it in the comments. Some actually do genuine responses, but there are also those who do fake responses. If you’ve been blogging long enough you know what I mean. I personally am not going to do fake responses just to make my blog grow. That’s not me. When I first began blogging I was able to make myself respond, but things have gotten worse as time has passed. I want people to know they can blog however they like and grow a blog. It’s your content that matters. If you have something people find worthwhile, that’s all that matters. Don’t let other bloggers who say you must respond to every comment in order to be a good blogger, a successful blogger, force you to do anything. If you are like me and feel physically ill sometimes at the idea of having to respond to a comment, learn to not worry about it. I do it at times because a comment really requires a response, or I am having a good moment. Is it a Social Anxiety issue? Maybe. Is it some kind of phobia about people? Maybe. Sounds like they are both the same to me. If you read my blog and you comment and I don’t respond, don’t take it as I am not reading your comment or that I am not appreciating it. Sometimes I will click like on the comments to show I read them and appreciate them. Some people are Blog Nazis and don’t think that’s good enough. Whatever. I’m good with what I can do. You be good with what you can do. Don’t judge. This is my outlet. This is how I talk to the world. And this is the last time I am going to talk about comments on this blog. I’m tired of it. Almost as tired as I am of people complaining about me not replying to comments.